WD-40 is my new best friend. Our garage door has been sticking in cold weather. It will only open about 2 inches then stop. You have to push the button again to make the door start going down then click again (real fast) to stop the door. Click again to start door up past the "stick" part. It will stop about 4 times in a matter of a foot. So annoying when you reach the last "stick" & miss clicking fast enough & it will go all the way shut & you have to start over. 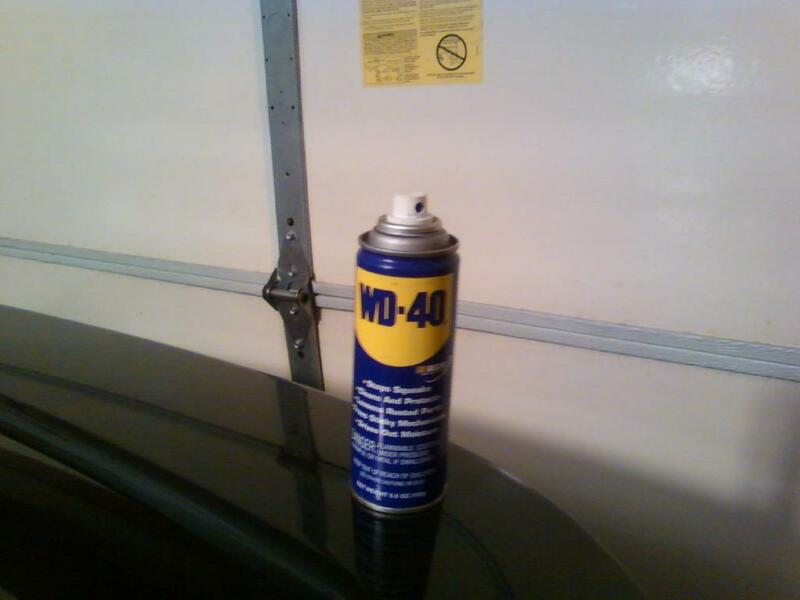 I have WD-40'd the side tracks & it didn't help. We had this problem before & I'd fixed it by spraying the tracks. I was thinking that maybe the door was just on it's last leg. Then I remembered that I also sprayed the middle track. WA-LAAAAAA we have a winner!!! All is fixed & life is much easier now.